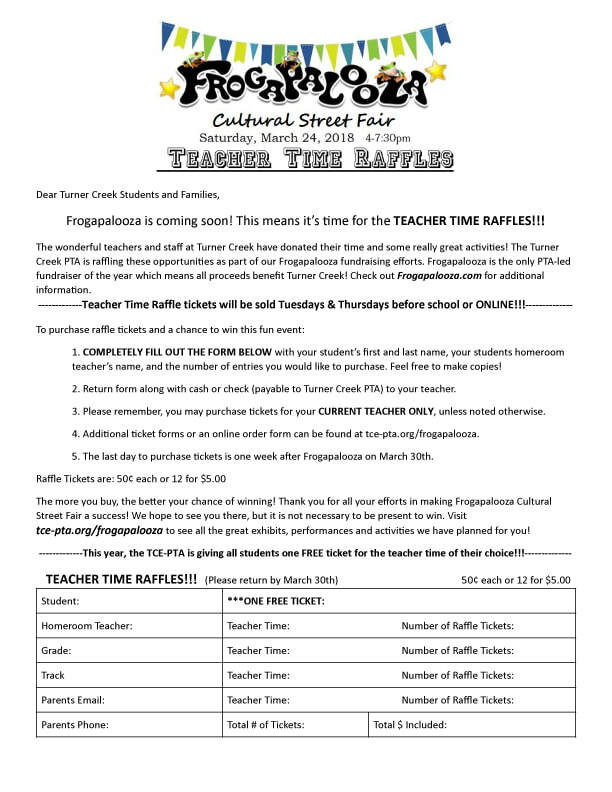 Buy Teacher Time Tickets ONLINE!! 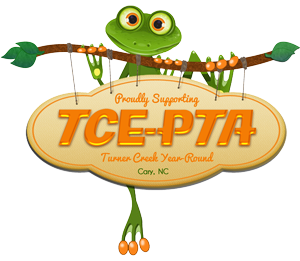 The wonderful teachers and staff at Turner Creek have donated their time and some really great activities! 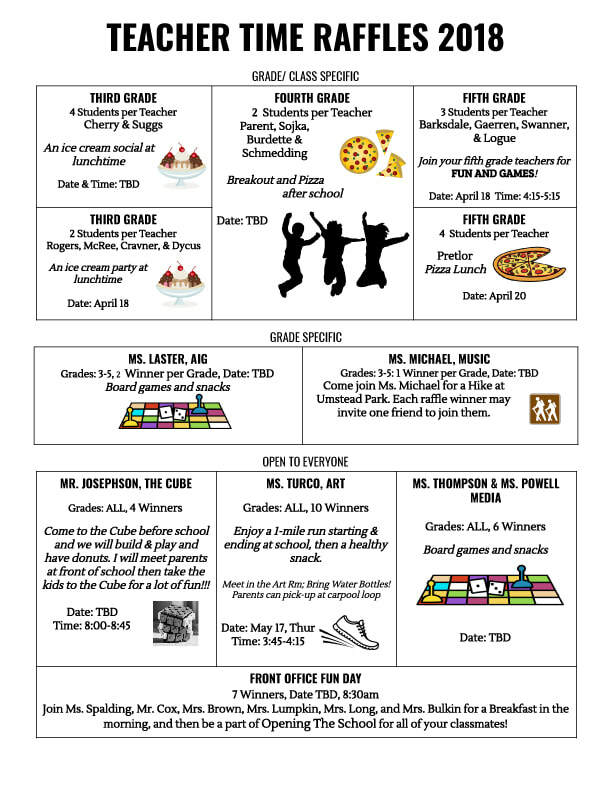 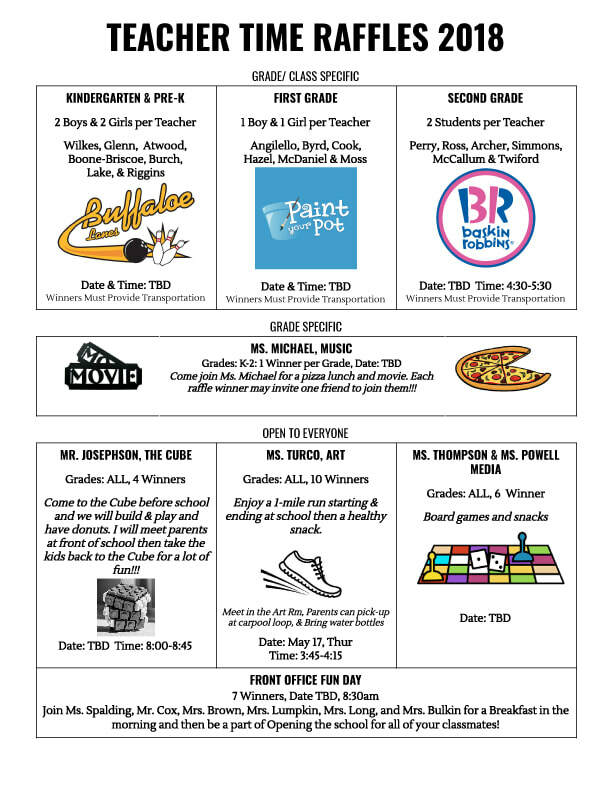 The Turner Creek PTA is raffling these opportunities as part of our Frogapalooza fundraising efforts. 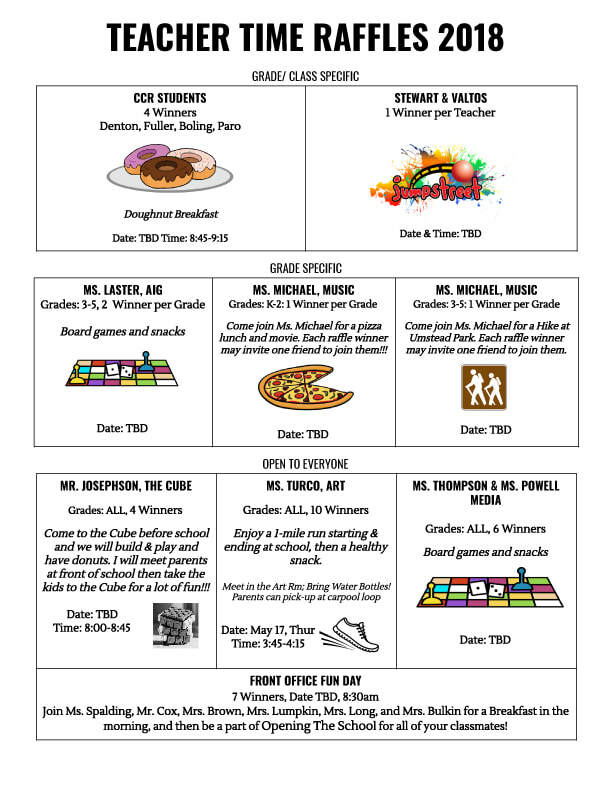 Please remember, you may purchase tickets for your CURRENT TEACHER ONLY, unless noted otherwise.